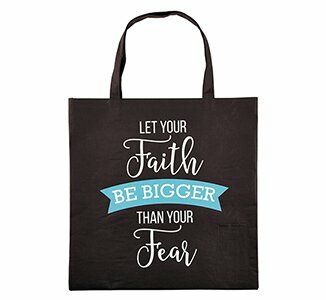 This unique tote includes three different sized pockets to fit many types of pens, pencils and highlighters. 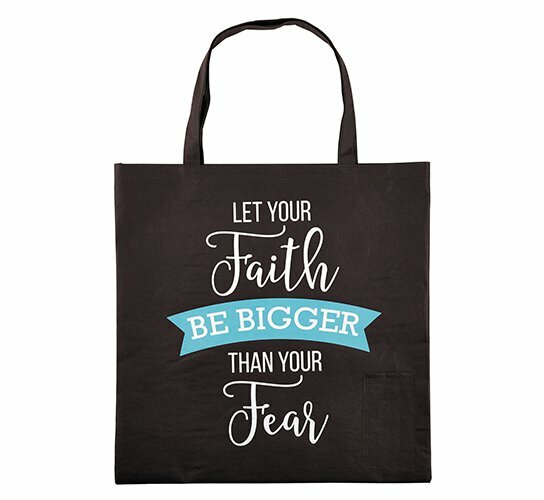 Front features a popular saying to help remind us of that faith can overcome any obstacles in our lives - "Let Your Faith be BIgger than Your Fear." Perfectly priced for gifts and give-aways. 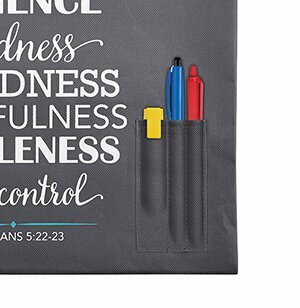 Great for shopping trips, those attending Bible study or prayer group meetings.